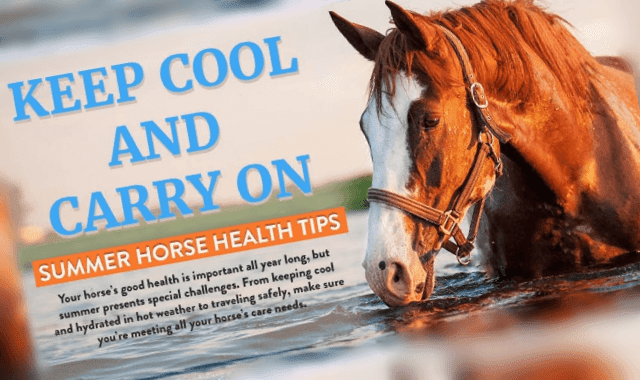 Keep Cool and Carry On: Summer Horse Health Tips #Infographic ~ Visualistan '+g+"
Your horse’s good health is important all year long, but summer presents special challenges. From keeping cool and hydrated in hot weather to traveling safely, make sure you’re meeting all your horse’s care needs. Your horse needs a balanced diet to remain healthy all year round, and there are several crucial things to keep in mind. The following infographic from Sunset Horse Stalls looks at this in more detail.